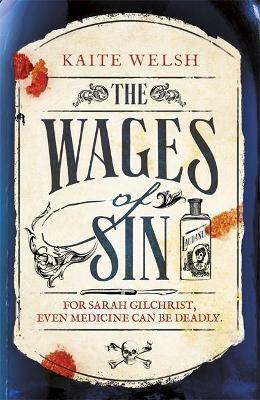 An irresistible mystery set in 1890s Edinburgh, Kaite Welsh's THE WAGES OF SIN features a female medical student-turned-detective, and will thrill fans of Sarah Waters and Antonia Hodgson. When one of Sarah's patients turns up in the university dissecting room as a battered corpse, Sarah finds herself drawn into Edinburgh's dangerous underworld of bribery, brothels and body snatchers - and a confrontation with her own past. KAITE WELSH is an Edinburgh-based journalist and author. Her writing has appeared in the Guardian, the Daily Telegraph and the New Statesman and she makes frequent appearances on BBC radio and television. Kaite has been shortlisted for both the Scottish New Writers Award and the Moniack Mhor Bridge Award, and most recently she is the author of The Wages of Sin.